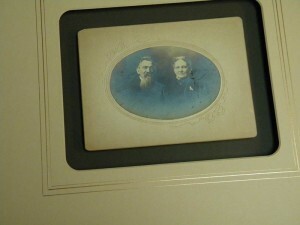 At Michels frame shop, preservation grade materials are always used in your custom framing project. 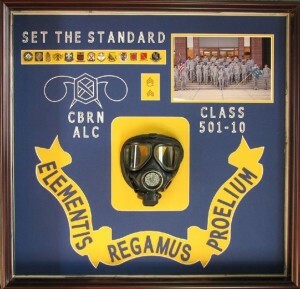 Many forms of art as well as the materials used to frame them can be made from varying degrees of “archival” or “acid-free” materials. 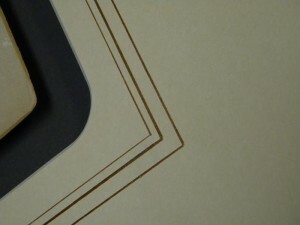 Michels can advise which are the most suitable for your custom project. Design can be crucial to the final outcome of your project. How many mats are recommended? What kind of glass is appropriate? Can I use this item later? Does this frame make my art look fat? Can I put this in the bathroom? When a project has multiple pieces, proper placement can save space (and money). Good design isn’t expensive – it just has to look like it is! 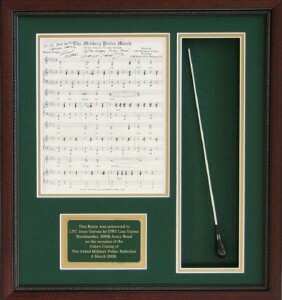 Shadowboxes can be made for a wide variety of 3 dimensional items. 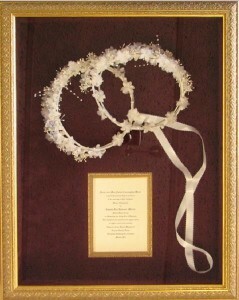 Joyce has made shadowboxes for many different occasions. 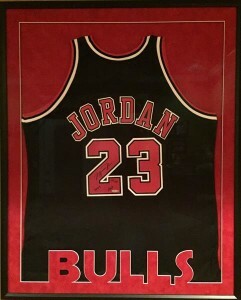 Sports jerseys, Scout memorabilia and weddings are among the most popular themes, but if you have a challenge – bring it in! Even with the vast selection of mats available, sometimes you just can’t find the right color or the right texture. Maybe you want a pattern that matches your linens or have a project that is larger than standard sizes can accommodate? Michels has the solution! Bring in the fabric you want to use or the item you want to match – we will find something that coordinates and customize your mat to be a one of a kind creation. Want to make your art a one-of-a-kind? 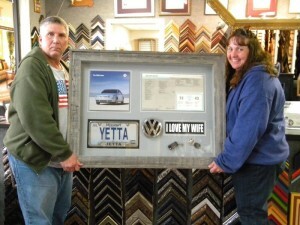 Let us show you a time-honored technique to add beauty and distinction to framed art called French matting. 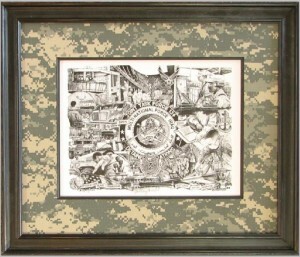 French matting uses watercolor washes, ink lines, acrylic paint, and hand-made papers that elegantly enhance your art or document. 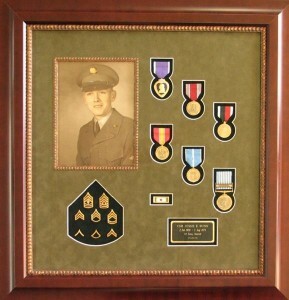 Being located less than 1 mile from Ft Leonard Wood, Michels naturally specializes in framing military items of all kinds. 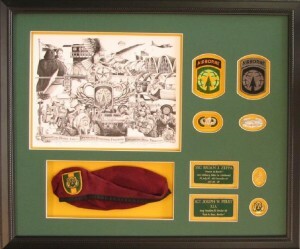 From class gifts and retirement shadowboxes to promotion certificates and farewell gifts, Michels can help you with any military framing project, allowing you to present something truly special and personal. 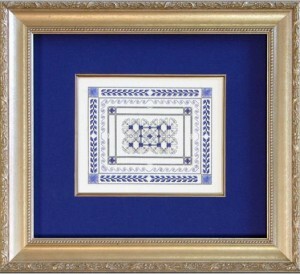 Michels offers a nice selection of cross stitch and other needlework supplies. 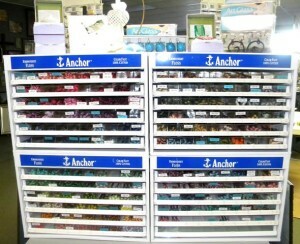 Check in for a great selection of Anchor and DMC embroidery floss, Kreinik metallic threads and Caron Collection silks and cottons. There is also a variety of fabrics – from 10ct Aida to 32ct Linen in some amazing colors! What to do with all these beautiful fabrics and threads? How about a pattern? We can even show you how to get started on your project.